In fact, while this may strike you as a good thing, according to research on highly effective teams of people, it’s definitely NOT. 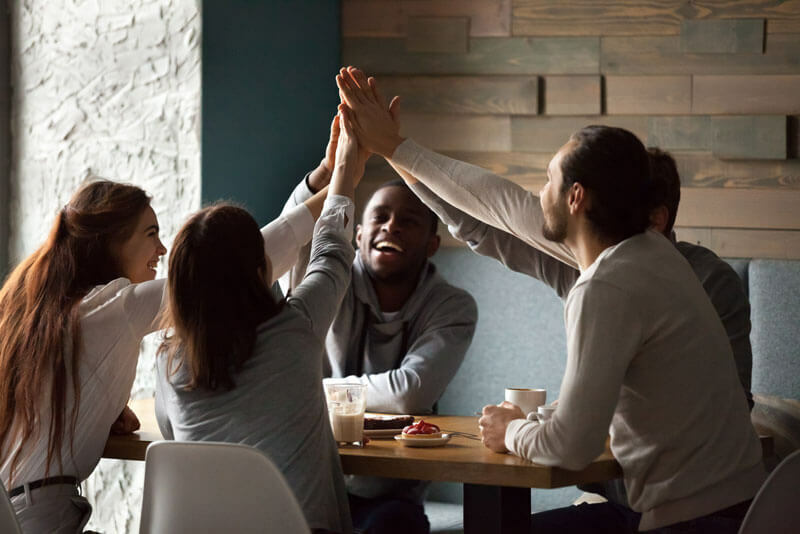 A team that is able to have lively arguments and disagreements, one that is able to address issues and discrepancies with candor, honesty and openness, outperform teams that “seem” to be always supportive and complimentary and outwardly kind. I don’t have all the data on this, but I suspect that this phenomenon extends to other walks of life too. What are your experiences? What do you think? What I’m Reading: Here’s an interesting article that you might find useful: How Your Brain Decides Without You: In a world full of ambiguity, we see what we want to see. It make shake you up a bit too. How then can we possibly have what we love to call “open minds”? How can we possibly REALLY think outside the box, when our mind cannot look outside the box as long as our attention has already ruled out most of what is really there and chosen for us what we are able to even see? This article doesn’t really offer any ideas, but it sharply curtails any notion that we are free of this phenomenon known as “cognitive dissonance.” How does that thought strike you? How Your Brain Decides Without YouIn a world full of ambiguity, we see what we want to see.